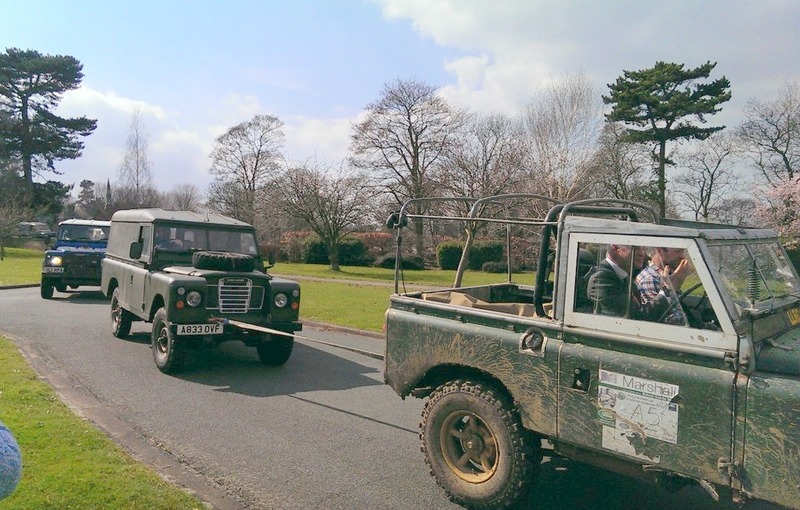 A few weeks ago we carried out the funeral of a Land Rover enthusiast. 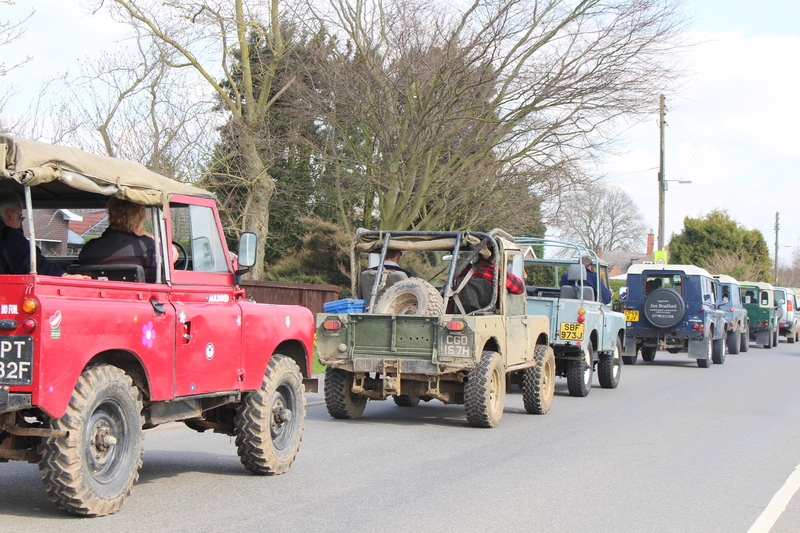 The family wanted as many Land Rovers in the cortege as possible and for none of them to be washed. 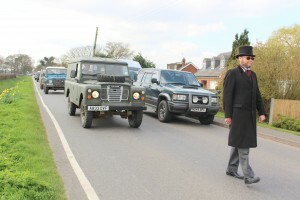 They also arranged for an ex-military Land Rover to act as the hearse. Some twenty Land Rovers, varying from competitive trials vehicles based on 1960s Land Rovers to reasonably clean Freelanders and Discoverys left the family home just outside Lincoln. Normally a hearse breaking down on route to the crematorium would be a disaster, on this occasion when the Series Three Land Rover did the usual trick of overheating in the traffic, causing the petrol in the fuel line to boil, it was not a problem. When you have an old Land Rover a tow rope is never far away. The family said the breakdown was perfect – exactly what a Land Rover does best! 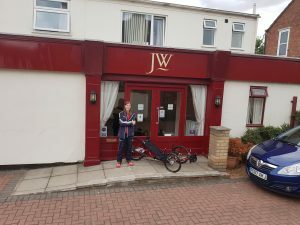 It was a most unusual arrival at the crematorium and not one I want to repeat in my hearse. 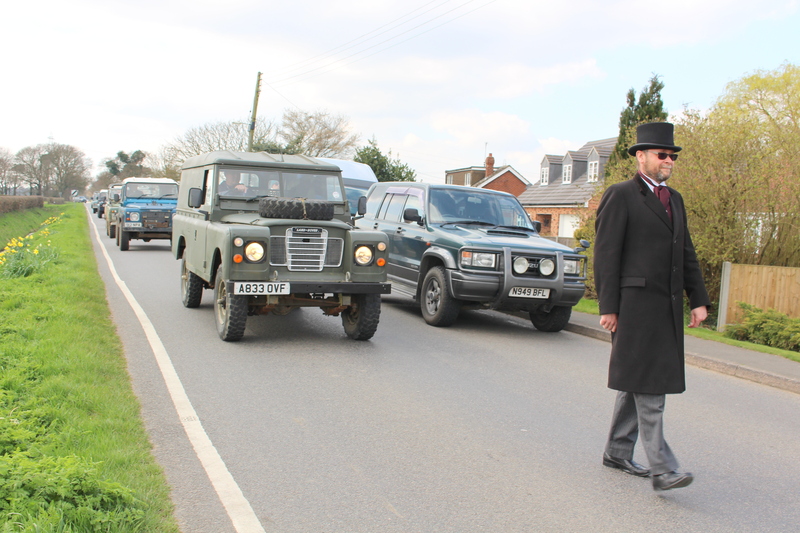 All in all a memorable day and the most fitting tribute for a Land Rover fan. 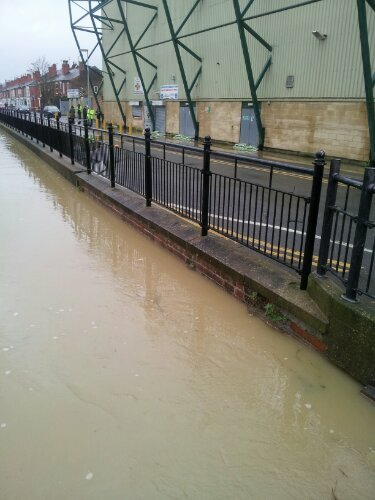 The water level in the Sincil Drain is within a foot of the bank, there is some flooding in the football ground side which is being pumped out. It would need to rise at least two feet before it would affect us, so it’s not a problem at the moment. 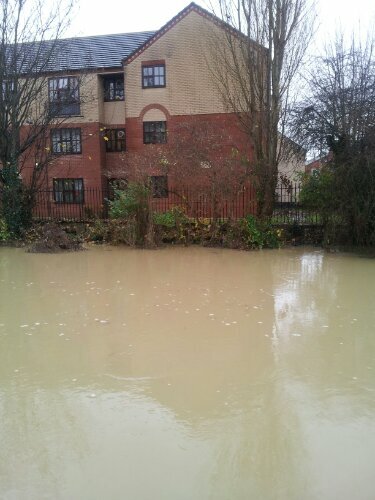 The Environment Agency monitors the water level closely but it is still worrying. 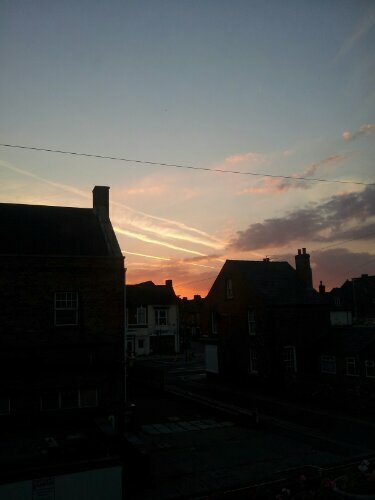 Fantastic sunset from central Lincoln. Lower level cumulus clouds back lit by a red sun, high cirrus clouds lit from below. 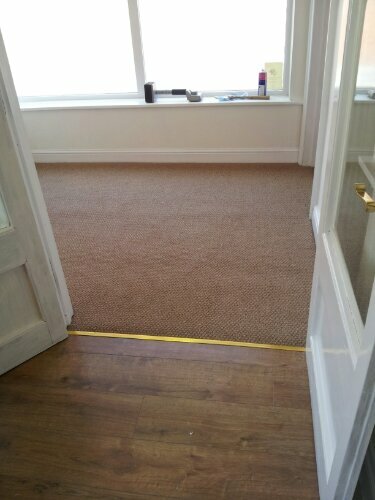 The overall effect … well it just makes you think wow! 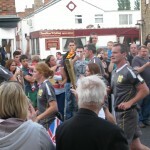 The Olympic Torch was making its way through Lincoln this afternoon, passing the end of Queen Street as it did so. A good crowd of people were gathered to watch this once in a lifetime event. 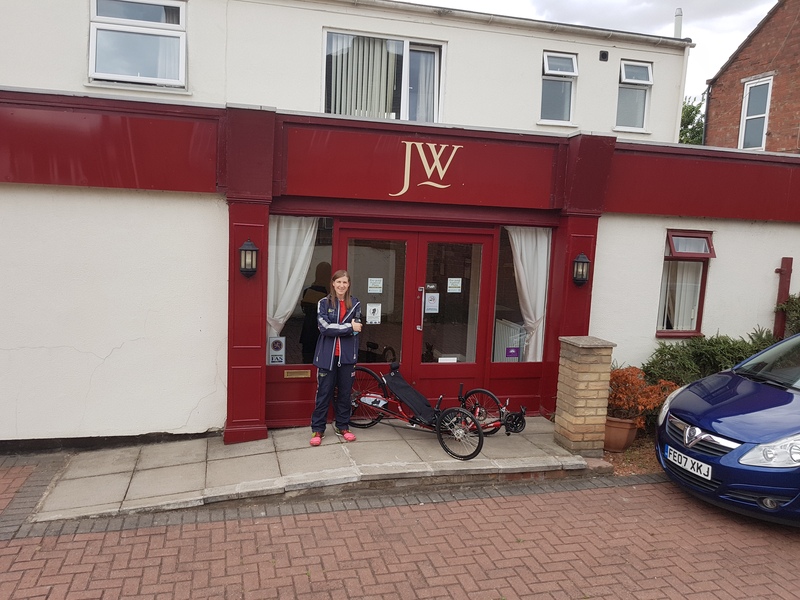 Unfortunately I was on a callout for the police as it all happened so I have had to content myself with looking at the photos Julie took. 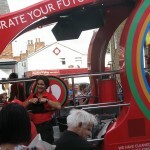 The first picture shows our premises seen through the back of a sponsor vehicle, the second photo is the Torch itself. 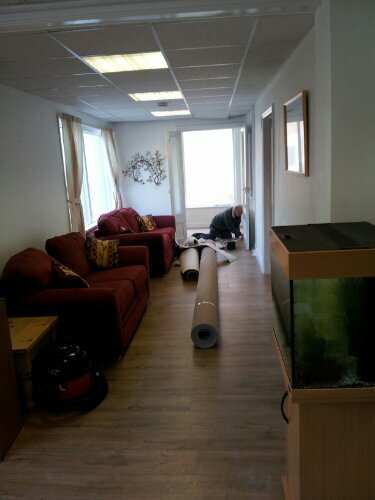 The refurbishment of our funeral home is coming on well, below is a photo of the new carpet and then the carpet fitter working just outside the chapel of rest. 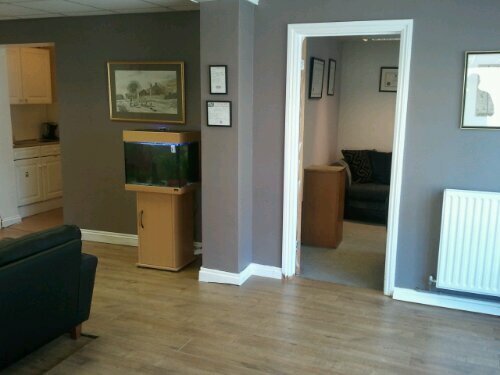 It’s taken over a month but the refurbishment is nearly done and we are delighted with the results.